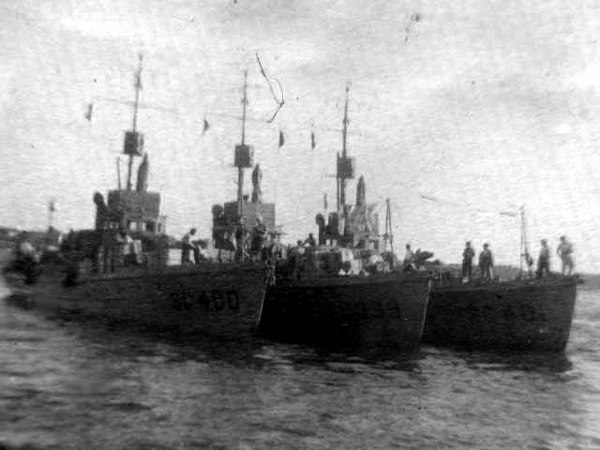 SC 399, SC 400 and SC 401, three of the U.S.-built submarine chasers that were sold to France. Photograph of submarine chasers. Thanks to Alan Phenix for sending in the image.